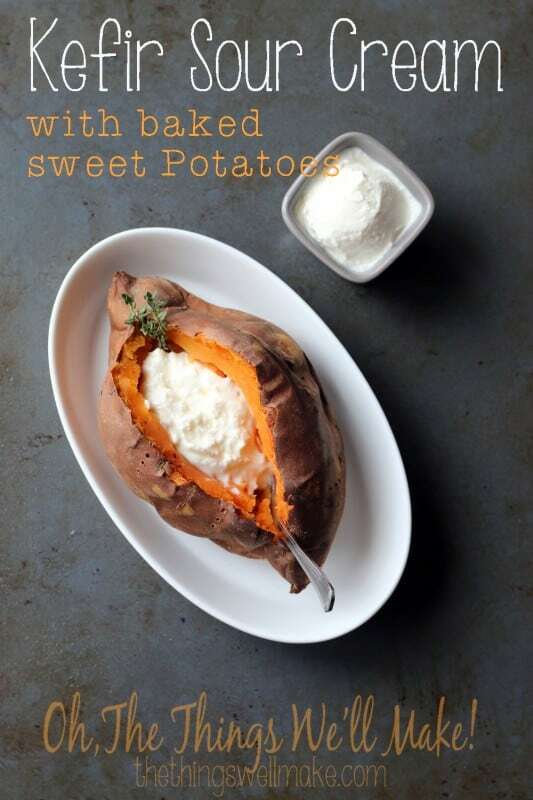 Easy Kefir Sour Cream and Baked Sweet Potatoes - Oh, The Things We'll Make! A tasty, probiotic, kefir sour cream is very easy to make, and there are several ways to go about it. Kefir sour cream is most likely my favorite of all of the kefir goodies that I have made myself over the years. Not only is it tasty, but it is super easy to make! After leaving the kefir grains in the cream overnight, I was surprised to find an almost solid mass of kefirized cream in the morning! I loved the resulting cream, but it was very difficult to remove my kefir grains from the solid mass. Determined to make a sort of kefir sour cream again, in and easier, less messy way, I decided to try using a sort of second fermentation like people often do with water kefir and kombucha. Mix together the heavy cream with your milk kefir in a jar. The heavier the cream, the thicker your resulting sour cream will be. You can keep experimenting to get the consistency that you want with the cream you are using. If you want to end up with a thinner sour cream, you can also add in a little bit of milk to bring down the fat content. Cover the jar, and leave alone for 24 hours. Check on your kefir sour cream, and taste it. If you want it to be more sour, you can leave it out longer. If it's already at the consistency that you want, use it right away or store it in the fridge for later. (Storing it in the fridge will slow down the fermentation process and keep it from getting more sour as quickly). The cool thing about kefir sour cream is that it is very versatile. If you use it before it gets very sour, it is almost like mascarpone, and can be used for desserts! Yum! So, what else is kefir sour cream good with? 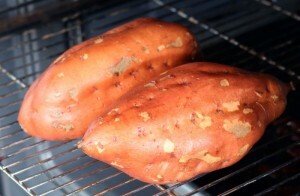 Baked sweet potatoes, of course! Baked sweet potatoes are very simple to make. All you have to do is to clean the potatoes and prick them with a fork to help let steam escape and prevent them from exploding. Place them on the wire rack of the oven, above a lined tray to catch any drips, and turn the heat up to around 400ºF (200ºC). 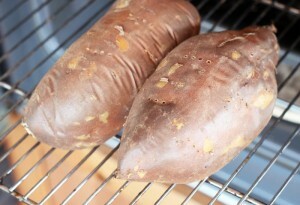 After around 30 minutes, start checking on your sweet potatoes to see if they are starting to soften. When they are beginning to soften, turn the heat off the oven and leave the sweet potatoes in the oven to finish cooking while you finish up the rest of your meal. Slice it open and serve with your homemade kefir sour cream. I hope you enjoy kefir sour cream with baked sweet potatoes as much as I do! I am going to start my first production tonight. I got your advices. Thanks a lot. Doing a second ferment with a lid on the jar(and the grains out of the kefir milk) makes the kefir less sour. I meant to say that this advice was for Gaye, for regular kefir milk. It definitely helps it to not be too sour. You then put it in the fridge after the second ferment. Thanks for your comment, Gaye! I’m glad you are here! If you find your kefir is too sour, though, maybe you could try fermenting it less time, or using less/smaller grains for the same amount of milk. 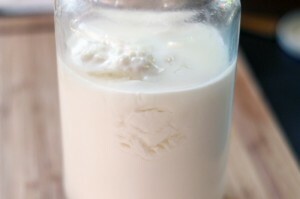 Are you making your own milk kefir with kefir grains? Are you using milk kefir or kefir grains in the heavy cream? I’m using the milk kefir that I obtained using the grains. You can use the kefir grains in the cream directly, but it’s hard to get them out of the cream once it thickens.